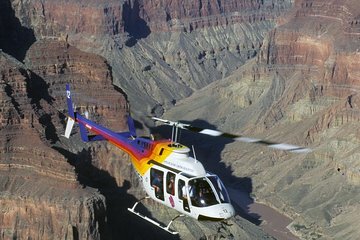 Visit the Grand Canyon on a full-day tour from Flagstaff that has an optional upgrade for a scenic helicopter flight over the vast canyon landmark. Stop at viewpoints along the South Rim drive including Grand Canyon Village, Yavapai Point, Lipan Point, and Desert View Watchtower. On the return to Flagstaff, spend time at the Cameron Trading Post, which carries art work and handicrafts made by Native American artists. Includes Lunch, entrance fees, and hotel pickup and drop-off. Your Grand Canyon tour begins with morning pickup from your Flagstaff hotel in a climate-controlled vehicle, and a scenic drive to the Grand Canyon, located about 1.5 hours away by road. Head out of Flagstaff and pass through Oak Creek Canyon and on to the Colorado Plateau. Look for the San Francisco Peaks, a volcanic mountain range with Arizona´s highest mountain, and the historic town of Williams on Route 66. Upon arrival at Grand Canyon National Park, stop at the overlook at Grand Canyon Village to soak in the views across the majestic canyon. Keep an eye out for condors – the world´s largest bird. After lunch at Maswik Café, your guide takes you to the top viewpoints along the South Rim, Visit Yavapai Point, which also has a geology museum; Lipan Point, where you can look down into the canyon; and Desert View, which has a historic watchtower and Hopi art. If you booked the helicopter upgrade, take a 30-minute scenic helicopter flight that provides sweeping aerial views of the Grand Canyon. Later, drive along the Little Colorado Rover and stop at the historic Cameron Trading Post. The trading post opened in the early 1900s on the Navajo reservation and carries fine handicrafts and art from Hopi, Zuni and Navajo artists. As you drive back to Flagstaff, watch the sunset light up the sky over the high desert. Your tour ends with hotel drop-off after 10 hours. Tour guide, Catherine, was wonderful. The day was foggy and a lot of snow and no visability. Never saw any views of the canyon. Weather was to clear up by noon, but kept getting worse. No one can do anything about weather, so I will be back. The excellent rating is for Catherine. Weather gets a 0. We also had an excellent lunch at Maswik Lodge.  We pre-booked this tour via Viator before we left home. This was our first trip in Grand Canyon. The trip was fantastic from beginning to end. We were collected from our hotel in Flagstaff in a minibus on time. Our tour guide J.R. was friendly and knowledgable. We really enjoyed our adventure and would love to do it again. JR was awesome!!! In addition to his knowledge he is very funny and a great human being. I can't stop thinking when we will go back to see more!!! What made this tour outstanding was our tour guide Sheldon. He has a lot of knowledge of all areas we covered! We had enough time to explore MORE than just the Grand Canyon South Rim! We stopped at a few places before heading to Cameron. A stop at Cameron Trading Post for souvenir shopping BIG and expansive store, so many things to look and purchase you do get a discount as well. We also had our lunch at the restaurant which is also in the trading post. Phenomenal food! You most definitely HAVE to get the Navajo Taco, or the Stew!! Oh my!! So, if you do book this tour, and you find out when you are picked up that your guide is Sheldon, you're in for a real treat! Best fun ever!!! Great job Sheldon!! Couldn't ask for anything better!!! went out of there way to accommodate us after we messed up our booking. thank you. great copter flight, visited many views of the canyon, our guide chista had a head full of facts for us. Since our trip to the Grand Canyon was to be short, we thought the best, most informative way to see it would be to take a guided day tour. This was the best decision we could have made. Tim, the tour guide, was full of information and stories of landmarks and colorful characters of the area. The day started with an 8:30 a.m. pick-up from our motel and lasted until about 5:00 p.m. We stopped at numerous points of interest and were treated to a fine lunch at a restaurant on the reservation. I would definitely choose this tour again! This was a great way to see the sites. Having a local guide take you around helped us make sure we made the most of our limited time. Catherine was extremely knowledgeable and was willing to go off the beaten path if we had something specific we wanted to do. The tour was 8 people so it was nice and small. The day wasn't the best for photographs but it was a lot of fun anyway. The only part of the tour I would say could have been skipped was the Navajo reservation, except that is where you ate lunch. I would have enjoyed more time at the canyon itself or seen something more, like the view of Sunset Crater from a higher vantage point. All in all, was a great experience and I would highly recommend you do this, especially if you only have a few days in the area. Our trip was truly amazing, it was a full day first the helicopter ride then the drive to the Canyon, we had a brilliant lunch and as much bottled water as we wanted, but what made our day was the mini bus driver called Stevie B who was so informative and helpful nothing was too much trouble for him. Many thanks for a day that we live in our memories forever. This is a terrific way to tour the Grand Canyon. Our guide confirmed our pick up time at Flagstaff the day before. He was prompt to pick us up at the hotel. Eduardo was very knowledgable about the history of the Grand Canyon as well as the entire culture both past and present of the surrounding area. He gave us adequate time to tour at the drop off points and kept the entire group on scheduling by defining the time to return to the van. The tour was well organized and allowed us to enjoy the sights. This is a great way to see the south rim of the Grand Canyon.